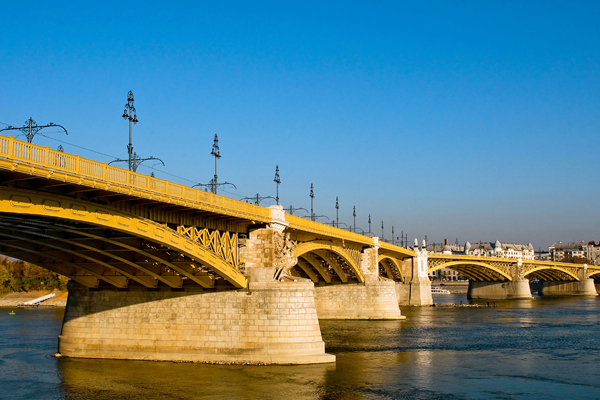 "Zsuzsa is walking on the yellow bridge." Translation:Zsuzsa a citromsárga hídon sétál. Sarga is the word for yellow. I've never heard lemon yellow being the regular word for yellow. Yes, that is the common name for yellow. You can use "sárga" and "citromsárga" interchangeably. Also note, the color orange is also a type of "sárga": "narancsssárga". There are other colors that are also "sárga". For example, "aranysárga" (golden yellow). "Sárga" is the generic word for this group of colors, the default meaning being "citromsárga". Is it not also correct to place the color after the noun? Like this: Zsuzsa a hídon sárga sétál. No, the colour precedes the noun. Red apple is 'piros alma' and not 'alma piros'. Black cat is 'fekete macska' and not 'macska fekete'. So - when we are crossing a yellow bridge, we call it a 'sárga híd'. Can the verb come before the "sarga hidon"part? Ő setal a sarga hidon???? Yes, you can. Thats the reason im checking the comments now. They should update this.